Oak Wilt (OW) is a systemic, lethal disease of Oak (Quercus spp.) caused by the fungus, Bretziella fagacearum. Oak Wilt and the causal fungus were first described in Wisconsin in the early 1940s; however, symptoms typical of oak wilt were described as far back as the late 1800s, even if the cause was unknown at that time. In recent years, some scientists have concluded that B. fagacearum was likely introduced into North America, albeit quite some time ago. The highly destructive, lethal nature of the fungus on native oak trees is typical of other introduced (invasive) diseases and pests. The disease has been gaining significant momentum in Michigan in recent years. Even so, the disease is not likely to be as universally devastating as, say, Dutch Elm Disease (DED) or Emerald Ash Borer (EAB), unless an efficient vector for oak wilt is introduced into the North America. Nevertheless, the disease is very destructive and costly on a local level. Photo 1: Approximately 15 years ago, this residence near Grand Rapids was purchased by a couple who loved trees. After pruning during the spring of 2015 by a “professional arborist”, many of the trees contracted Oak Wilt by insect transmission of the Oak Wilt fungus to fresh pruning cuts. Once red oaks are infected they generally cannot be saved by any treatment protocols. (Note leaves on the lawn). Photo 2A & 2B: This group of trees (2A) became infected by the oak wilt fungus via beetle transmission to wounds created by an arborist in the spring of 2011. Note that the full-foliaged healthy appearing tree on the left was a neighbor’s and was not pruned. One year later (2012-Photo 2B) the oak wilt-affected trees have not recovered. The neighbor’s tree still appears fine but died by the following spring from root graft infections. Any age/size of tree can be killed by oak wilt. For nurseries, an entire crop of oak trees can be lost if oak wilt infections occur in the vicinity of the nursery and pruning is performed on nursery trees at the optimal disease transmission time of year. Pruning oaks or harvesting trees from woodlands and forests can similarly cause oak wilt outbreaks for lumbering or line clearing operations if such practices are conducted during periods conducive to OW transmission. The same is true for Urban and Suburban environments. For landscapes and urban/residential properties where trees are valued very highly, the following costs from oak wilt can be anticipated: 1) tree and property value losses, 2) tree removal, stump grinding and tree replacement, and, 3) containment and eradication of oak wilt, usually involving expensive trenching and/or trunk injection procedures. It is not unusual for oak wilt outbreaks in a residential area to result in many $10,000s of value losses and expenditures when the above factors are considered. The most common initial symptom of OW on red oak family members is precipitous leaf shedding within several weeks of becoming infected by the fungus. It is very alarming for tree owners to see cascades of foliage dropping during the middle of summer. The fallen leaves may range from tan to pale green to olive green to normal green in coloration (Photo 4). A “classic” foliar symptom of OW is a well-defined tanning of the leaf tips (Photo 5), but this symptom is not often witnessed compared to the diverse coloration of the fallen leaves. Some tan leaves may remain clinging to limbs for a while (Photo 1 & 2A). It is not unusual for infected trees to develop epicormic shoots on their trunks (Photo 5) later in the season (after infection) or the following spring as a “last ditch” attempt at survival. Many tree owners mistakenly believe these epicormic shoots signify recovery. Tree death in the red oak family usually occurs very quickly. 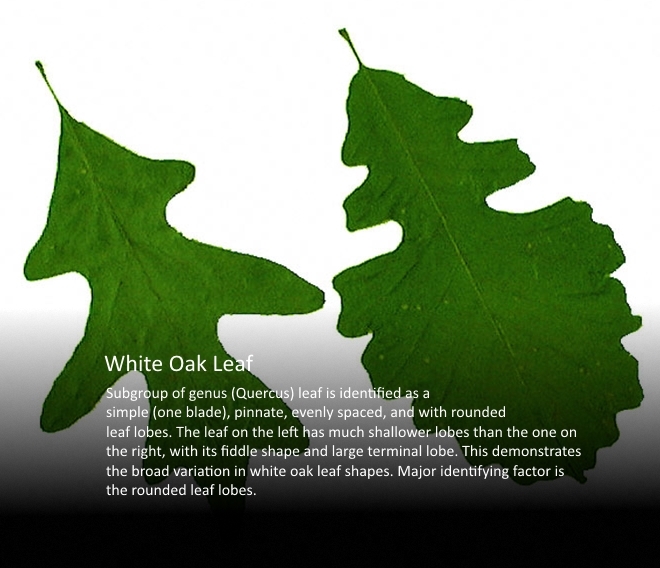 White oak family members may exhibit gradually thinning canopies and symptoms similar to decline or dieback. White oaks may also recover from OW infections-there are exceptions (Photo 6). Another symptom that may occasionally be seen is vascular streaking (Photo 7). Photo 4: Sudden leaf loss is highly symptomatic of Oak Wilt. Fallen leaves vary from tan to pale green to olive green to normal green in coloration. Photo 5: Epicormic shoots sometimes develop on tree trunks infected by the OW fungus as a last ditch attempt at survival. Note the classic but seldom seen symptom on these leaves of tan discoloration from the apex of the leaf. Also note the injury left by climbing spurs during this pruning operation (an unacceptable practice). Photo 6: Although white oaks tend to be less susceptible to oak wilt than red oaks, this white oak (center) near the Houghton Lake area collapsed suddenly from an OW infection after a spring pruning, along with the collapse of nearby red oaks during the same operation. Photo 7: Brown vascular discoloration from oak wilt infections may sometimes (not always) be seen in the outer sapwood. Note the dots of discoloration in the vascular ring directly beneath the bark. Photos 8A & 8B: Fungal mats known as pressure pads (A) may form beneath the bark of dying/dead trees (primarily red oak family members) during the fall or spring following infection. Sometimes a bark split (B) signifies a pressure pad beneath the split. Photo 9: Even though a variety of insects have been reported over the past several decades to transmit the Oak Wilt fungus, sap beetles in the family Nitidulidae are believed to be the primary vectors of Oak Wilt. Sap beetles are attracted to the odor of sap exuding from fresh wounds on trees; the beetles haphazardly transmit the Oak Wilt fungus to fresh wounds. Photo shows relative size of the sap beetles in relation to a U.S. quarter. Rapid Wilt/Leaf Fall: Members of the red oak family react very quickly to oak wilt infections by exhibiting wilt symptoms and falling leaves (Photos 1, 2A & 2B). As noted previously, white oaks may decline gradually or recover. Recent Injury: For new oak wilt infections centers via over land spread by sap beetle transmission, there is the requirement of wounds from pruning or storm injury. Hence, while diagnosing oak wilt at new sites it is important to examine trees for injury (Photo 10). Progressive Pattern of Tree Decline/Death: For established oak wilt infection centers, look for a progressive tree death pattern, symptomatic of root graft transmission. For example, one tree died two years ago, two more died last year and several more died this year. Oak wilt tends to move outward in a radial pattern one tier of trees per year as an epicenter develops and increases in size. (Photos 11& 12). Pressure Pads: The presence of pressure pads (Photos 6) is a confirmation of oak wilt. Pressure pads can often be located behind bark splits or by tapping the trunk of a tree with a rubber mallet or hatchet (loose bark over a pressure pad sounds different than tight bark). Lab Test: Properly obtained and handled branch samples can be submitted to a lab such as MSU’s Diagnostic Services for a culture confirmation of the fungus. For optimum chance of detection by lab culture, approximately one inch diameter branch samples should be collected from actively wilting limbs, kept cool, and shipped as quickly as possible to a lab. It is virtually impossible to culture the fungus from dead branches. Be aware that a false negative lab test is not uncommon and does not necessarily indicate that OW is not involved. It is often the case with new oak wilt sites that, for example, 8 or 13 trees were pruned in the spring and all 8 or 13 trees are losing leaves and dying; no maladies other than oak wilt instigate decline/death symptoms with oaks in this manner. Photo 10: This tree in northern Michigan became infected with the OW fungus after a storm split this branch. Note wilting foliage on the branch as the fungus moves into the main trunk. Photo 11: Looking towards the sky, it is easy to see the initial development of an OW epicenter in this wooded, residential community in southwest Michigan. Unless contained, the OW fungus is expected to be transmitted through root grafts to adjacent trees approximately one tier of trees per year. Photo 12: An established epicenter near Houghton Lake Michigan. The OW fungus has killed many trees outward in a radial pattern from its original point source infection. Because this property owner is doing nothing to contain OW, this epicenter is serving as a “Typhoid Mary” infection source for other property owners in the vicinity. Anthracnose: Foliar diseases (Photo 13) such as anthracnose or leaf spots can affect members of the red and white oak families. Anthracnose may induce severe leaf drop in the late spring and early summer at a similar time early infections of OW may be occurring. Anthracnose-affected trees will re-foliate in a few weeks and are generally not harmed by these diseases. OW-affected red oaks will not re-foliate. Cynipid Wasp Gall: Another foliar problem that can induce leaf loss in oak trees is the cynipid wasp gall (Photo 14, 14-2 among many types of oak galls on oak). Trees affected by these insect-induced galls are generally not harmed despite rather conspicuous leaf drop. Over the past several years, various galls including cynipid wasp gall (Inset) have been rather prominent on oaks in some locales. In this case, the leaf loss was mistakenly identified as Oak Wilt by an arborist who recommended immediate removal (note leaves on the lawn). Luckily, this tree is still standing and doing fine 3 years after the wasp gall infestation. Two-Lined Chestnut Borer (TLCB): Attacks by the TLCB may cause foliage loss and dieback, possibly even tree death (Photo 15, 15-2). As a relative of the EAB and Bronze Birch Borer, the TLCB induces gradual dieback symptoms in oaks over several years. Even on red oaks the decline by TLCB is rather slow compared to the rapid death by OW. In most instances, TLCB damage would appear most similar to oak wilt in white oaks than oak wilt in red oaks due to drastic differences in symptomatology (especially speed of symptom elucidation) of oak wilt on red and white oaks. Armillaria Root Rot: Several species of the fungus Armillaria may attack the roots and root collar areas of trees, causing dieback and death. Oaks infected by Armillaria may collapse suddenly during heat and drought stress, potentially being confused with oak wilt. Heat/Drought Stress: Environmental factors may induce symptoms of leaf loss in oak trees similar to OW. However, environmental factors do not generally cause rapid death in oak trees as OW does. Temporary flooding or waterlogged soils may also cause symptoms similar to heat and drought stress. Herbicides: Herbicide misapplications may induce leaf loss and dieback in many species of trees, including oaks (Photo 16). Certain species of trees tend to more sensitive to certain herbicides. The rather rapid leaf loss and decline of these red oak trees was initially attributed to oak wilt infections by an arborist. Subsequent investigation revealed that the culprit was the herbicide Imazapyr, which was absorbed by tree roots after the herbicide was applied to the driveway. A year or two after the herbicide application, some of the limbs/trees recovered, some did not. Red oaks afflicted by OW would never recover. Oak wilt (Bretziella fagacearum) gains admission to oak trees via root grafts or through wounds. In other words, the oak wilt (OW) fungus cannot actively penetrate and infect trees as many other fungal pathogens or pests can. After gaining access to trees via wounds or through root grafts from nearby diseased trees, the OW fungus infects and then inhabits the vascular tissues where it basically colonizes the entire vascular system of the tree. Within weeks after infection, trees in the red oak family usually exhibit symptoms of leaf loss and death, previously discussed. Fungal mats known as “pressure pads” typically form beneath the bark in red oaks the next spring following tree death (Photos 8A & B). On occasion, however, pressure pads may also form during the immediate fall after infection. These pressure pads serve as fructifications (reproductive structures- analogous to mushrooms in other fungi) for survival and dissemination. The fungal mats typically exhibit a fruity odor that attracts certain insects, particularly sap beetles, which feed on the fungus for nourishment. During feeding, the insects haphazardly pick up spores and mycelium (fungal body strands) on their bodies; these fungal propagules can subsequently be transmitted to fresh wounds on healthy trees by the beetles, which are attracted to the sap excretions from fresh wounds. From an infected tree, the fungus may be transmitted by two methods: 1) Overland by insect vectors (Photo 9) to wounded oaks (Photo 10), and 2) Underground through root grafts to nearby trees. It is estimated that approximately 90% of oak wilt transmission is via the underground/root graft mode. An ever increasing infected group of trees through root graft transmission results in an “Epicenter” of oak wilt (Photos 11 & 12). Even though trees may be killed quickly by the OW fungus, the spread of the fungus through root grafts is rather slow, approximately one tier of trees per year. However, all new geographical locations of oak wilt outbreaks are due to the overland spread of the fungus to wounds by insects… particularly sap beetles (Photo 9). The time period most conducive for sap beetle transmission of the fungus to wounds is the spring through mid-summer (April to July 15-A further discussion of injury and vector transmission will be forthcoming). Obviously from a management standpoint, it is important to cease injuring (pruning) trees during the primary overland transmission period of April through mid-July (no warm season pruning if zero risk is desired). Damage from storms during this same period may also promote new OW infection centers (Photo 10). It is important to note that fresh wounds are only attractive to insect vectors (sap beetles) for 5-7 days after the injury. It is also important to understand that the transmission of OW great distances overland can be accomplished by transportation of firewood, similar to transport of EAB-infested ash wood or DED-infected elm wood. The survival of the OW fungus is rather complicated. B. fagacearum is primarily considered to be an obligate parasite, meaning that it doesn’t thrive or survive well without its living host (oak tree). Although the OW fungus may survive for about a year in above ground tree tissues, until it produces pressure pads, the fungus is rather quickly displaced by normal decay and decomposition activity from arthropods and other microbes…. and basically disappears from these tissues rather quickly. In the roots, however, the OW fungus may survive longer, perhaps 3-4 years. HOW DO I KNOW WHAT KIND OF OAK TREE I HAVE? All oaks can be affected by OW, however, there are significant differences in susceptibility among the various species. Oaks can be divided into two major families 1) Red Oaks and 2) White Oaks. Members of the red oak family tend to be highly susceptible, often dying within 1-2 months of becoming infected by the OW fungus. 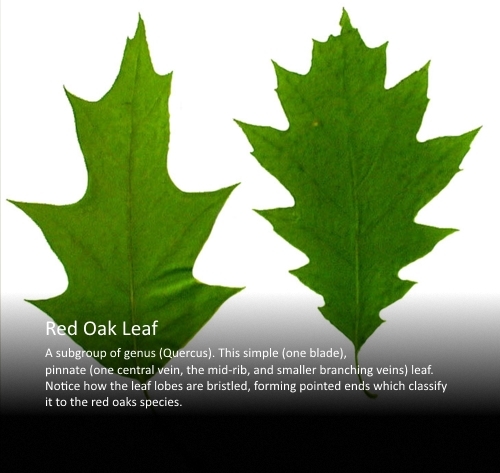 Members of the white oak family vary in susceptibility but tend to be more tolerant or resistant. Often included in a third family of oaks are live oak and Texas live oak in the southern U.S., both of which are highly susceptible to OW.